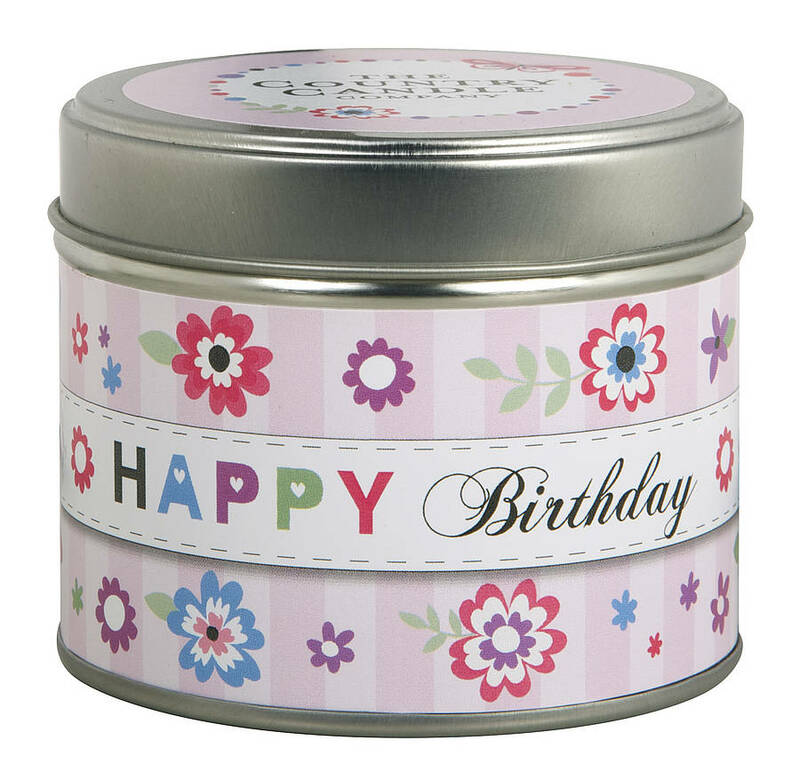 This fantastic 'Happy Birthday' candle in a tin is hand made in the UK hand made using the finest quality Cupcake scent and mineral wax are the perfect greeting and gift in one! 30 hour burn time. Tin Size: 6.6cm high x 7.5cm diameter.